It's not just what you know. It's being in the know. To ensure you receive future Insights from Koda*, please email the Koda team at info@kodacapital.com or fill in the Contact Us form. *Please note that the majority of research Koda produces and distributes is client-access only. Subscribing to the insights distribution list will only give you access to publicly available Koda reports. Adrian joins us to discuss the opportunity to make double digit returns by lending to property developers. Rhett Kessler is one of my favourite investors. We speak with Rhett about his views on the current equity market and outlook, along with his recent investment in CSL and the recycling company BIngo. Kim Morrison joins us to discuss investing in agriculture and specifically water rights, a strategy that has been very successful for Kim over the last 10 years. Rich Gilmore is Country Director for The Nature Conservancy in Australia. In this episode, he provides valuable insight into how the Conservancy raised $55 million in twelve weeks to purchase environmentally significant land in the Murray Darling basin. This ambitious act of private conservation harnessed philanthropy and investment to secure the future of over 200,000 hectares of prime Australian land. The 15th of September 2018 marked the 10th anniversary of the collapse of US investment bank Lehman Brothers and the onset of the Global Financial Crisis (GFC). Many trustees, directors and investment committee members of charities, foundations and non-profits are still haunted by the episode. As advisers to these investment fiduciaries, we are often asked what the lessons were for non-profit investors. This paper examines the Top 10. Christopher has advised key policy makers in Australia and the US on economic management. In this episode we discuss investing in enhanced cash along with his views on the investment outlook. Christopher is the founder of Coolabah Capital and is also a Contributing Editor to the Australian Financial Review. Trevor Folsom retired at age 39 after he and his partner sold their business for more than $100m. Retirement lasted 3 months as Trevor headed back to what he loves doing: helping startups grow. We follow up our conversation with Justin from September 2017 and get an update on the outlook for investing in listed and unlisted companies in Israel. Phil King has been described by the AFR as "one of Australia's most Astute Investors". We talk to Phil about his absolute return process and how he has been able to provide great returns to investors through investing in Australian and Asian Companies. Legendary Short Seller John Hemtpon talks about how to find great long term investments and how he profits from fraudsters. Investing in commodities can often be a roller coaster for investors and subject to extreme volatility. In this episode I speak with Craig Evans a Portfolio Manager at the Tribeca Global Natural Resources fund that seeks to return 15-20%p.a to investors through investing in natural resources. Stephen is a former Chairman of Goldman Sachs Australia and New Zealand. He also served a five year term as a Guardian of Australia�s Future Fund. As well as sharing secrets of his own success, Stephen talks about investing successfully, common investing mistakes and how to run an effective investment committee. He also explains his commitment to impact investing and his belief that all capital will eventually be invested with impact in mind. The growth of Exchange Traded Funds over the last 10 years post the GFC has been phenomenal. Ilan takes us through a crash course in ETF's and explains why they have become so popular. A Snapshot of Australian Giving is written for the benefit of donors and fundraisers. It is based on Koda’s analysis of the latest giving data from a variety of sources. As well as presenting the data, the report features insights and observations based on Koda’s direct experience with clients and the broader giving community. Koda is proud to offer clients the opportunity to build portfolios that reflect not just their financial objectives, but their values and their desire to invest in social and environmental change. We are excited to bring a pioneering impact investment advisory service to our clients. Impact investing for private, non-profit & philanthropic investors explains what impact investing is, what investors can expect from Koda in the way of advice and service and how Koda helps investors build impact into their portfolios. We talk to David about investing in companies where Mergers and Acquisitions are announced and how the strategy can produce good returns that are uncorrelated to traditional assets. Liquidity events are a major fork in the road. 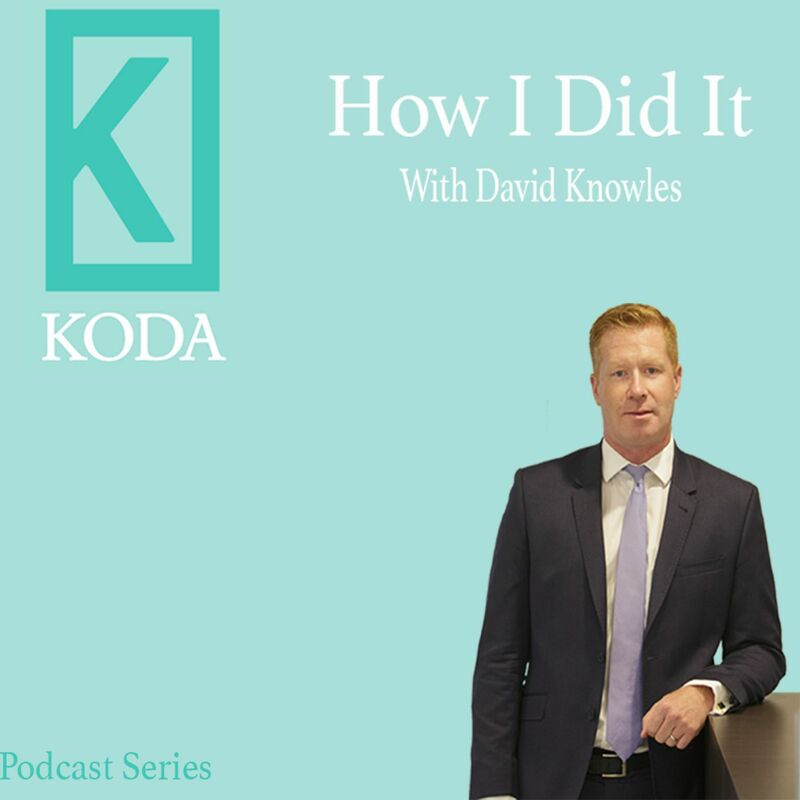 Paul Heath draws on his experience as CEO of Koda and previously JB Were to discuss the do's and don'ts of managing liquidity events. As a founder of the impressive Fermat Capital Management, Nelson discusses how they invest in non traditional fixed income such as Insurance Linked Bonds to create a risk premium greater than similar non-correlated assets. Following our previous Podcast with the very impressive leader of Ark Invest, we discuss the opportunities being presented by 3D printing and the genomic revolution amongst other disruptive technologies changing the world. As Koda launches its impact investment advisory service, Kylie defines impact investing and looks at its potential for mainstream and non-profit investors alike. Reflecting on her own career, Kylie also talks about working and investing �with heart�. We discuss with Dan How Solus invests in event driven, and special situations to create a strategy that has provided an annual return of 12.71% over the last 5 years with low volatility and low correlation to traditional asset classes such as shares. Having recently completed interviews with a new set of business entrepreneurs, ‘Seizing the Opportunity – A Fresh Perspective’ is an extension of Koda’s original white paper on wealth management after liquidity events. Our new research both confirms our first set of findings and introduces new insights into the challenges faced as individuals and families look ahead following the sale of a business. To get a copy of this paper please email sean.abbott@kodacapital.com or info@kodacapital.com with your request. As a world leader in Impact Investing, Michael talks to us about the growing trend of investing for the dual purpose of profit and social benefit. We talk to Robert about the current opportunity to earn double digit returns by investing in UK residential Property. We discuss investing in the private debt provided to medium sized business and how the big banks exiting this market has created an opportunity for investors provided they get their credit analysis right and of course have a good loan agreement. The strategy is expected to produce more than 12% income p.a. In this episode Michelle Stewart, CEO of Cure Brain Cancer Foundation, talks about her career and her bold mission to improve survival rates. She also talks about Professor Charlie Teo�s decision to end his association with the Foundation. Professor Teo recently started his own brain cancer charity and he has been a vocal critic of high administration and fundraising costs � a sensitive topic Michelle tackles head-on. Chris discusses the opportunities that are presented by investing in US microcaps a strategy that has produced 15.3% p.a return since inception in 2014. We touch on the benefit being provided to US smaller companies by the Trump administration's lower taxes and deregulation. The recently announced CEO and CIO of the $27 billion manager talks about managing money for the past 23 years and how peoples behaviour creates opportunities to profit. Andrew also gives his views on the international investment landscape including China, the USA and Europe. What happens when, overnight, you inherit responsibility for establishing a multi-billion dollar charitable foundation dedicated to saving and improving lives? David knows because he has lived this through the Helmsley Charitable Trust. In this episode he talks about running a philanthropic foundation like a successful business and the need for philanthropy to embrace risk. As the co-founder of Dalton Street Capital Alan invests clients money using algorithm that exploits behaviours in the market to generate returns for investors. Since inception Dalton Street Capital has returned 19.9% p.a. Tim is a founder and Portfolio Manager with Auscap Asset Management an asset manager with an annualised return of more than 20%. We discuss a wide range of topics including investment fundamentals, Bitcoin, China and how shorting companies can enhance returns with Tim. What does it take to be a successful social entrepreneur and a pioneer in the field of impact investing? As the co-founder of STREAT, Bec has learnt by doing. In this episode she talks about her work, what she�s learnt and how STREAT gives young people a sense of belonging. How do you set up and grow Australia�s leading food rescue charity? According to Ronni Kahn, inspirational founder of OzHarvest, the answer involves love, belief, clarity of purpose and being clear that you are running a business. Inside the Rope with David Clark: Ep7: How to get to 100 in great shape. Dr John Cummins (https://goo.gl/u8ikNw) is a specialist physician who started a practice devoted to preventative medicine. In this episode, Dr John talks about how you can manage your health and lifestyle to live to 100. Listen to David talk about diversity, making a contribution, a chair�s role, innovation in the non-profit sector, asking for money and being a hopeless artist. Managing significant wealth over multiple generations raises many significant challenges. These issues are discussed with Tiffiany who is a thought leader in the Family Leadership space. Tiffany brings a great skill set and expiernce to help families get 'back around the kitchen table". We discuss the opportunity to invest in high growth companies in Isreal with the Founder and Chief Investment Officer of Ibex Investors. Episode 1: Christopher G Oechsli What does it take to lead one of the world�s foremost philanthropic foundations? Humility, clarity and a commitment to justice and equity. These are some of the ideas discussed with Chris Oechsli, President & CEO of The Atlantic Philanthropies, the limited-life foundation set up and funded by Chuck Feeney. International and Technology investment with Hamish Douglass Hamish Douglass is Co-Founder, Chief Executive Officer and Chief Investment Officer of Magellan Financial Group, and Lead Portfolio Manager of Magellan's Global Equity strategies. Hamish is a former member of the Australian Government's Financial Literacy Board, the Australian Government's Takeovers Panel, the Australian Government's Foreign Investment Review Board and the Forum of Young Global Leaders - World Economic Forum. Investment Fundamentals with Rhett Kessler Rhett Kessler manages the Pengana Australian Equities Fund of $1.2 billion that has returned to clients greater than 11% p.a. net since inception. In this episode, Rhett takes us through the process and the way he thinks when he approaches investment. This paper is dedicated to helping non-profit trustees, directors and committee members spot and avoid potential mistakes and common pitfalls. Investing reserves on behalf of a foundation, charity or non-profit organisation is a tremendous privilege, and one that comes with significant responsibility. It requires a fiduciary mindset, a willingness to thoroughly address all aspects of stewardship, and a robust investment governance framework. It also requires the organisation to understand how its reserve assets serve its mission, and requires sound processes and a carefully considered investment plan. An effective investment policy statement fortifies these requirements by drawing them together into a single cohesive document. This paper is an extract from Koda’s ‘The Investment Policy Statement Handbook’ and explores the key issues and benefits for non-profit organisations in preparing, implementing, maintaining and complying with an effective investment policy statement. The purpose of this paper is to present Koda’s research and observations into the common concerns shared by business owners following the sale of their business, and the critical role of specialised advice in addressing these concerns and providing the peace of mind to enter their next phase of life. The 2016 Koda Capital Australian Giving Snapshot is an analysis of the latest annual giving statistics released by the Australian Taxation Office (ATO). Life for non-profits is changing rapidly, and in many ways dramatically. Non-profit boards face a future that looks nothing like the past - one in which they must deal with changes in government policy, increased regulation and accountability, rising costs, higher funder expectations, the need to prove impact, systemic change, tougher competition and the impact of digital innovation. At Koda, in our work with non-profit boards we have observed a growing appreciation of the need for change. Many of the responses we have seen suggest boards are looking for guidance in relation to how they should move forward. This paper frames the strategic agenda facing non-profit boards, sets out possible solutions to key issues and offers practical steps by which those solutions can be implemented by a forward-thinking board. In December 2015, Facebook founder Mark Zuckerberg and his wife Dr Priscilla Chan announced their intention to pledge 99% of their Facebook shares – then valued at A$62 billion - to a new philanthropic vehicle known as The Chan Zuckerberg Initiative. Koda believes the Initiative is a game changer with the potential to completely revise the way we think about philanthropy, charity and how to create social impact, thanks to its big picture approach and refusal to be bound by conventional wisdom. In this article, first published in the 2016 Leadership issue of Generosity Magazine under the title ‘Why the Chan Zuckerberg Initiative is a sign of the philanthropic times', we explain why. If you are one of the growing number of Australians with self-managed superannuation funds, it is important for you to have a sound understanding of the benefits associated with them. Who is entitled to what, both during your retirement and after your death, varies greatly from situations where assets are held directly. This critical part of estate planning should be considered sooner rather than later. Where you fail to plan, your superannuation benefits could end up with unintended individuals, family disputes and result in inefficient and adverse taxation implications. In August 2015, Christopher G. Oechsli, President and CEO of The Atlantic Philanthropies visited Australia to discuss the foundation’s work. Atlantic, a limited-life foundation that will make its final grants by the end of 2016 and will close its doors by 2020, has so far distributed A$10 billion, including A$590 million in Australia. Atlantic’s visit also allowed Chris Oechsli to discuss founding chairman Chuck Feeney’s philosophy and practice of Giving While Living with a significant number of prominent Australians. The collective insights of the philanthropic, academic, non-profit and business leaders Koda and Atlantic brought together were extraordinarily valuable. This paper distils and disseminates the philanthropic wisdom those present shared at a series of private events, for the benefit of a wider audience. An exploration of Australian giving, designed to help those interested in philanthropy understand the giving landscape. The review sets out ideas to provoke discussion about how giving can be encouraged in Australia. An exploration of the Australian non-profit sector. Designed as a tool to help non-profit leaders understand the landscape of the sector and compare and contrast their own organisation with industry trends. Essential questions for board and investment committee members.